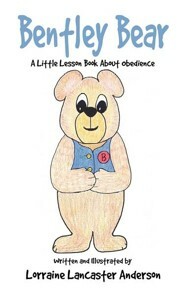 Lorraine Lancaster Anderson is a freelance author and illustrator of Christian children's books. She received a Bachelor of Arts in English Literature and teaching credentials from Fresno Pacific University, and spent twenty-six years teaching elementary students in both Christian and public schools. She is active in women's ministries, mentoring, teaching, and writing Bible studies. 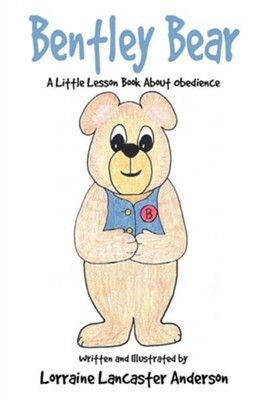 Bentley Bear is the second book in a collection of four Little Lesson Books she has written and illustrated with delightful drawings that will captivate your children and encourage them to follow Biblical principles. Lorraine and her husband Tom live in Fresno, California, where they are often surrounded by their five adult children with their spouses and seventeen grandchildren. 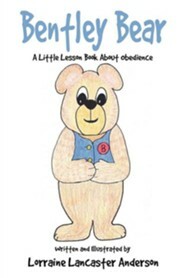 I'm the author/artist and I want to review Bentley Bear.